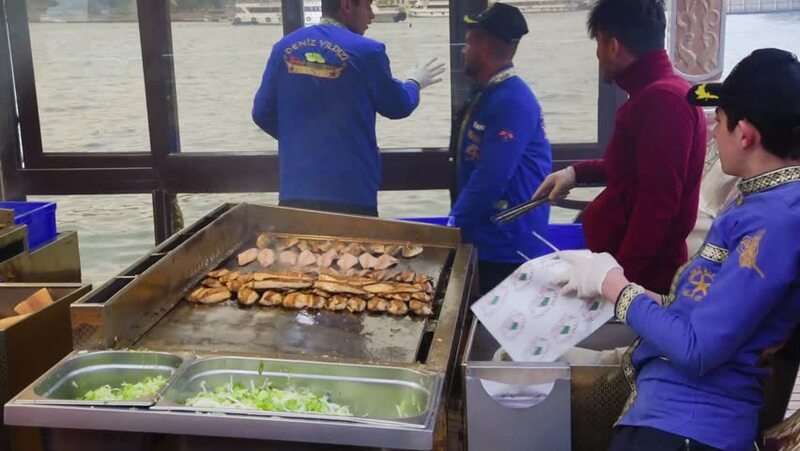 hd00:07ISTANBUL/TURKEY- APRIL 22,2017:People cooking and preparing historical grilled fish sandwiches on Traditional floating fish restaurants at the Eminonu pier. hd00:10Klang, Malaysia - May 24th, 2017 : Chicken vendor preparing chicken at Klang Market. Fresh chicken meat in huge demand during Hari Raya celebration.